Charlie LaDuca is 65 years old and a recently retired teacher from the elementary school ranks. He has also coached high school baseball for 23 years. He started playing in the Buffalo MSBL in 1992 and then in 1993 formed the Chautauqua MSBL located in Fredonia, New York, which is located in the western tip of New York state. Charlie’s passion for all things baseball led him to start Pro Bats LLC, a very successful wood bat company, in 2002. MSBL is very pleased to welcome Charlie and Pro Bats as an advertiser on the MSBL national website. 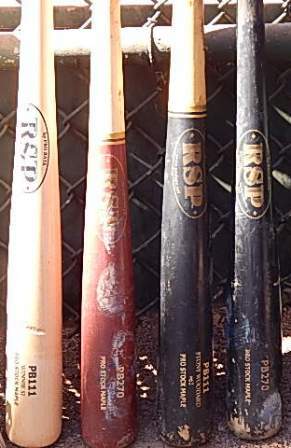 As a blue blood MSBL veteran and a full time wood bat manufacturer for sixteen years he is hopeful that the MSBL nation will give his company some attention. Charlie and I discussed what goes into a quality bat and why his bats are as good as anybody’s. “What makes our bats unique is the quality and consistency of each bat we produce. We have a professional production team with many years of wood working experience under their belts. This business is all about the wood. Our long term relationship with various companies that produce wood billets allows us access to the best wood available on the planet. To find out more about Pro Bats you can click on their website at www.probats.net. Charlie is offering a special for MSBL players. Just type in MSBL2017 at checkout to receive 10% off their already competitive prices. I have already ordered mine!